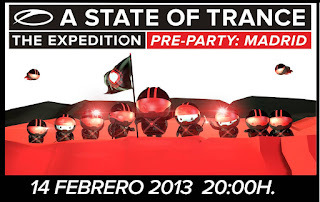 OfficialDjFreire: LINE-UP FOR ASOT600 PRE-PARTY IN MADRID ANNOUNCED! 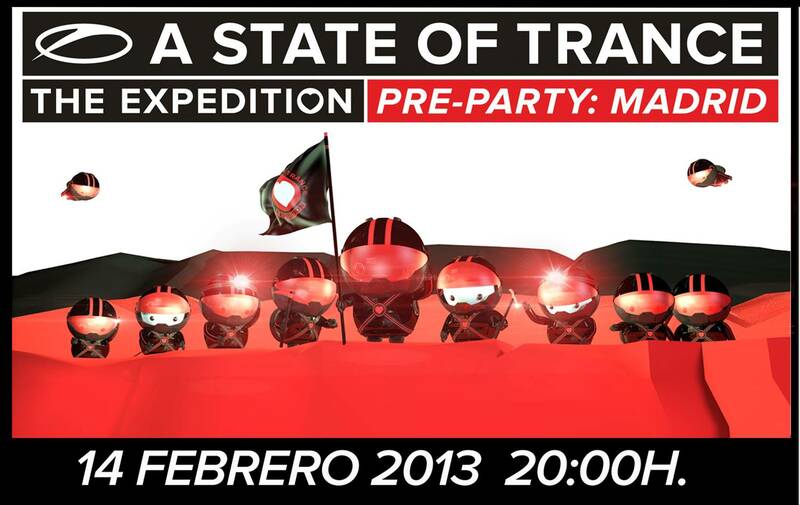 LINE-UP FOR ASOT600 PRE-PARTY IN MADRID ANNOUNCED! The countdown is official. Only 2 weeks to go until Valentine’s day is all about sharing our love for music, with the official kick-off to the A State of Trance 600 world tour! And today, Armin has some very exciting news to share. Read on, to find out about the official line-up and the change of venue! On February 14th, the Madrid air will be loaded with a strong love for music. That day, all anticipation, expectations and excitement comes together for the official pre-party of Armin’s ‘The Expedition’ world tour. And we’ve got a little surprise for you, cause the venue had changed. We will celebrate the 600th episode of A State of Trance at the Florida Park, in Parque del Retiro, Madrid! And next to Armin’s set, visitors will also witness the sets of Alexander Popov, Guiseppe Ottaviani, Lange and Ronski Speed! New talents and renowned names, representing the different facades of trance music! Feeling the love yet? We sure do! Ticket sales start on Friday! Want to be there to witness the grand kick-off of the ASOT600 world tour?! Enjoy the 2 hour live broadcast and party for hours afterwards? Then keep an eye on www.astateoftrance.com, cause tomorrow, Friday January 25th, at 12.00 (CET), the ticket sales for ASOT 600 Madrid starts!